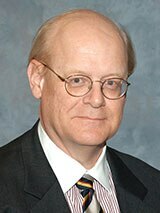 Dr. Allen C. Guelzo is the Henry R. Luce Professor of the Civil War Era and Director of Civil War Era Studies at Gettysburg College in Gettysburg, Pennsylvania. He holds an M.A. and a Ph.D. in History from the University of Pennsylvania. Among garnering other honors, he has received the Medal of Honor from the Daughters of the American Revolution. He is a member of the National Council on the Humanities. Professor Guelzo is the author of numerous books on American intellectual history, Abraham Lincoln, and the Civil War era. His publication awards include the Lincoln Prize as well as the Abraham Lincoln Institute Prize for two of his books-Abraham Lincoln: Redeemer President and Lincoln's Emancipation Proclamation: The End of Slavery in America&ndash;making him the first double Lincoln laureate in the history of both prizes. His critically acclaimed book, Lincoln and Douglas: The Debates that Defined America, was published by Simon & Schuster in 2008. Professor Guelzo has written for The American Historical Review, The Washington Post, and The Wall Street Journal, and he has been featured on NPR's Weekend Edition Sunday, C-SPAN's Booknotes, and The Daily Show with Jon Stewart.